Nissi Casino is a great place to enjoy some games, or just hang out and witness the truly spectacular animations of its many video slots. It is the software that defines this kind of experience, and with so many different brands to choose from – it will be a pleasant trip into the realm of virtual entertainment. Everyone who qualifies to join Casino Nissi, may expect to get a full treatment, with everything that is included in the welcome package; starting with huge deposit bonus, then some reloads, and the regular promotions that are often a great source of additional goodies. The website and all of its content can be displayed in English and Russian, while the user-friendly interface will help you find every bit of detail regarding this fascinating online casino. Only adult visitors may enter the casino, meaning that you have to be 18 or older to register and play here. 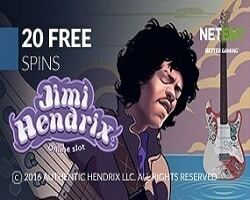 The world of Nissi Casino is filled with spectacular winnings, offered through its attractive bonus program, with a variety of online games and non-stop fun all the way. The platform compiles such noteworthy gaming categories as slots, jackpots, video poker, blackjacks, roulettes, scratch cards, multi player, and table games. The combined forces of 1X2 Network, Asia Live Tech, Asia Gaming, Extreme Live Gaming, Kiron Interactive, Oriental Game, betgames.tv, Microgaming, BetSoft, Evolution Gaming, Spinomenal, SA Gaming, Playson, Authentic Gaming, Booming-Games, Endorphina, Ezugi, Habanero, Pragmatic Play, WorldMatch, tom horn gaming, pariplay, Mr Slotty, Lucky Streak, and iSoftBet, are more than enough to keep the players invested in the gameplay. The NissiCasino will accept payments made with bitcoin, Skrill, Visa, MasterCard, Neteller, moneta.ru, Yandex Money, and Qiwi Wallet. Fair play and responsible gaming are by far the most important factors, and those are the aspects that drive the whole gambling business, keeping it not only safe but also fun at all times.